Ruby Copper's Inner-Grooved Tubes provide high thermal performance. 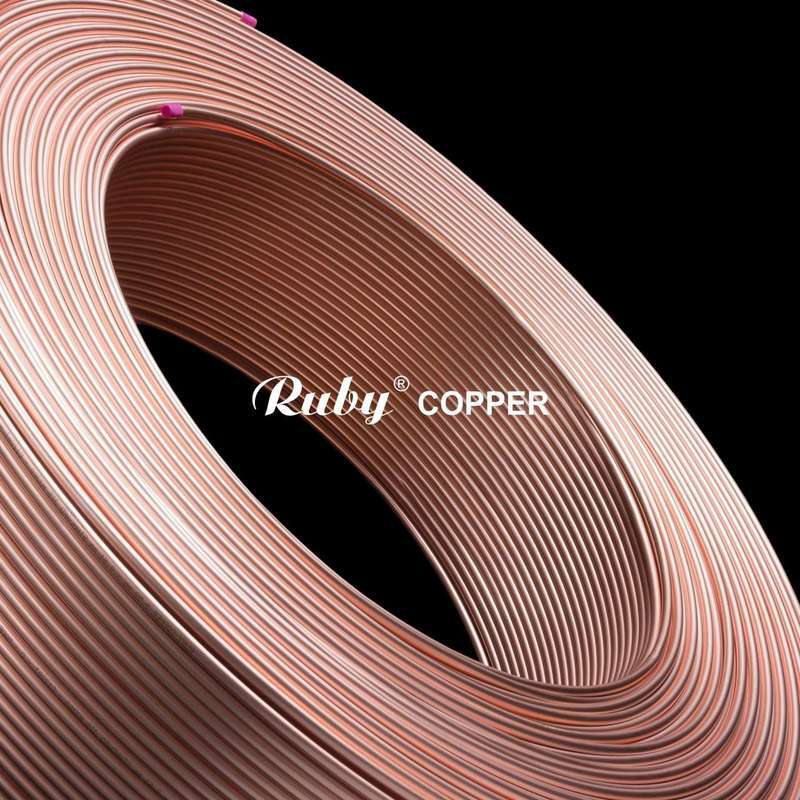 Suitable for the manufacturing of air-conditioner and freezer, Ruby Copper Level Wound Coil have been widely approved in global markets. ​The products are in conformity with international standards ASTM B68 (USA) and JIS H3300 (Japan). conditioning system, suitable for refrigerant R410A, R32 with high working pressure. Pair Coils help prevent gas leakage during installation and operation. High-quality insulation prevents condensation during air-conditioner operation, enhances operating efficiency and improves lifetime of air-conditioning systems. 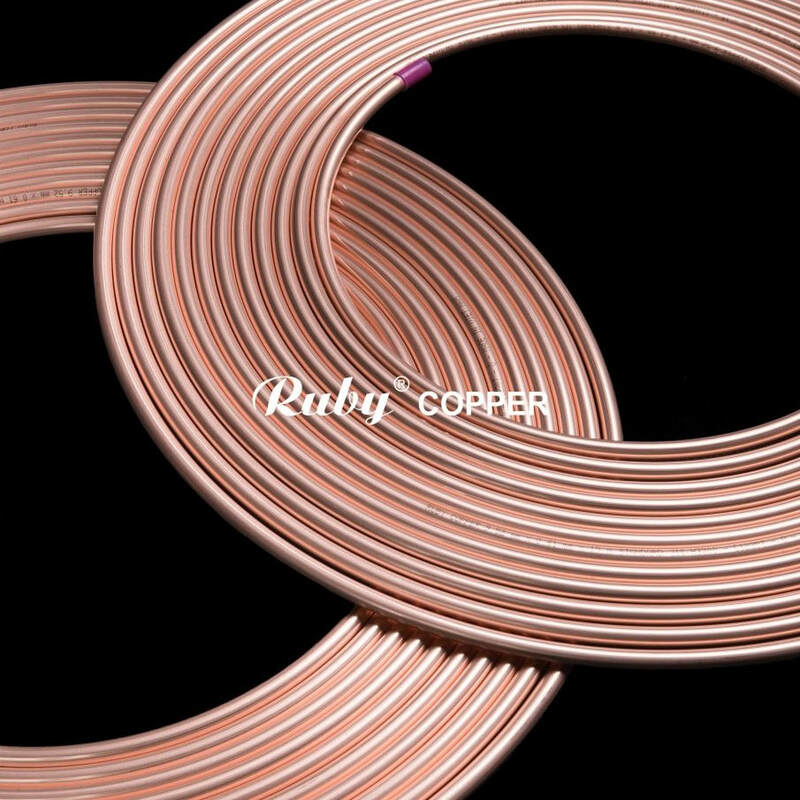 Ruby Copper Straight Tube is designed for central air-con systems used in skyscrapers. The product is in conformity with international standard: JIS H3300 (Japan). Annealed straight copper tube meets the requirement of AS 1571 (Australia) standard andcan be used for medical gas system.